Michelle Yost : Where'd she go? You could call it an accidental vacation from blogging of sorts. But the problem is I have all sorts of things to talk about. Funny thing is though, I have no time. None. Nada. Zip. Zero. How did this happen? This no time to blog thing? I don't get it. But then I look at what has been going on the last week and I wonder how it is I'm still standing. Yes, I was sick. But I started taking drugs and I took it easy on my workouts and it was all good. But, throw in an outside ride, an anniversary, a ski day, Michael out of town for work, girl scout cookies, valentines day cards for the kiddos classes, Challenge homework (apparently Isabelle is smart and now has the HARD homework that I am still trying to figure out), girl scout meetings, cooking healthy dinners and breakfasts, snacks, athletes schedules, new athletes, laundry, laundry folding, dishes, cleaning the dirty house, and of course, my training. 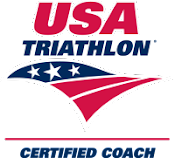 Oh, and I'm heading up the Springs Friday for the USAT Symposium so all of this stuff has to be crammed in a few days. Phew. I get tired just looking at this all! But great things are going on......I mean Isabelle has the HARD homework, how cool is that?! We have girl scout cookies.....how awesome is that?!! I'm heading to the Springs and will get to hear Johan Bruyneel speak on Friday, how cool is that?! My training is gearing up again and I'm very excited about it, how cool is that?! Michael and I celebrated our 11 year anniversary, how cool is that??!! I rode outside for a few hours (even though it was cold), how cool is that??!! And, a semi-powder day on Sunday? Yep, that's cool too. Stay tuned, fun times ahead!!! Gotta go now. I still have a run, reading, homework, class, bills, budget, groceries, cooking, appointment scheduling to do today:) Oh yeah, the car needs gas too!! I am tired just reading your blog. Time for a nap!